"The arts...are what separate humans from animals; communication through the arts touches and teaches us in profound and moving ways." The Indianapolis Women's Chorus is only possible through your support! Your gift - in any amount - helps us embody musical excellence and the power of women and song to transform communities. Singers who could not participate otherwise. Excellence in performance by allowing us to have a top quality Artistic Director and Accompanist. Many other opportunities we could not be able to say "Yes!" to without you! Need a simple way to donate to the Indianapolis Women's Chorus? Do you shop at Amazon? Visit our Retail Rewards page to find out how you can donate to IWC while you shop. 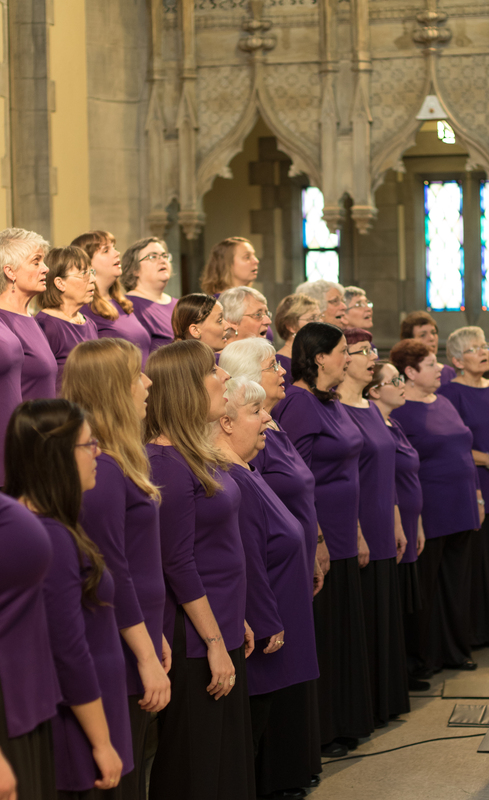 Indianapolis Women's Chorus is a not-for-profit organization. Gifts are tax deductible as allowed by the IRS. EIN 35-1818057.